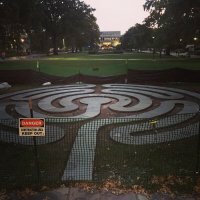 112 labyrinths found. Showing 1-20. Sorted by country, state, city, then zip/postal code. 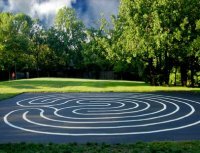 The Eastport Memorial Labyrinth is on our expansive grounds along Bay Ridge Avenue. 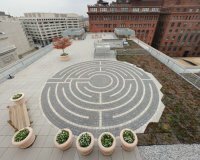 The Northeast Interfaith Peace Garden contains a labyrinth, meditation garden, peace plaza, fountain, benches, and an interfaith prayer path. 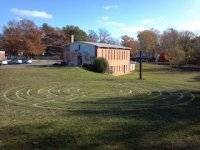 It is maintained by the Friends of the Northeast Interfaith Peace Garden. 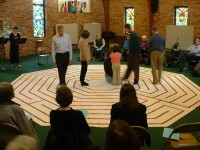 This labyrinth is a 7-circuit, Chartres-like design. This is a small, tile version. 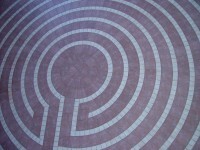 I think it is an 11 curcuit one, and the width of the "stepping stones" is probably 5".